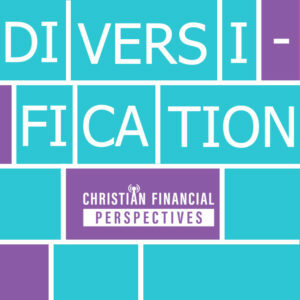 Learn more about diversification and what it really means in the financial industry. In finance, diversification is a process of allocating capital in a way that can reduce exposure to any single asset or risk. Bob and Mary Jo breakdown the principle of diversification and all of its different aspects and look at it from various perspectives. Often, people mistakenly think that they are diversifying assets because they are using 2-3 different financial advisors. However, diversification is about the number of non-correlated investments you use in your IRA and brokerage accounts, not about the number or advisors or various financial firms that you may use. Jesus spoke more on stewardship than on heaven and hell combined, so God is very much in tune with how we handle money and the assets He has entrusted to us to manage on His behalf.